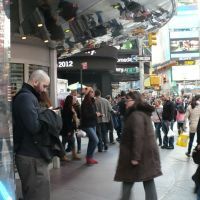 The first round of firings at HMV were confirmed today, just two weeks after the British entertainment retailer entered administration. And, judging by the company's official Twitter account, the sacked employees are none-too-pleased to be laid off. 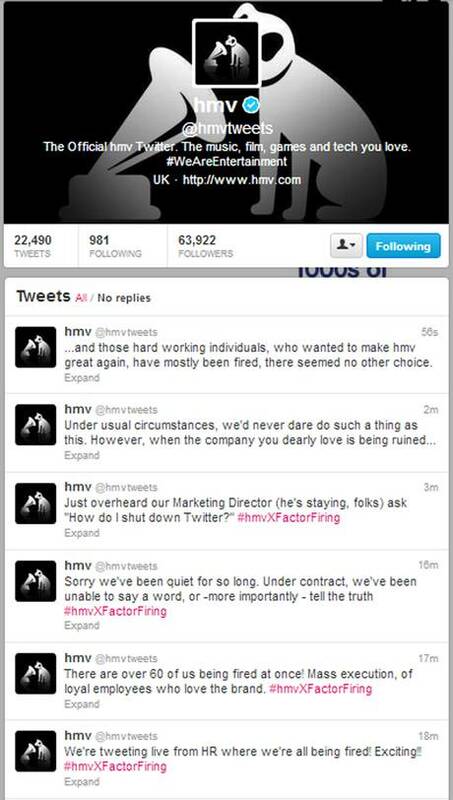 A group of rogue Human Resources employees have apparently hijacked HMV's Twitter account to blast the company for its "mass execution of loyal employees who love the brand." According to The Independent, professional services firm Deloitte, which was brought in on January 15th to handle HMV's administration, has so far cut 190 jobs "across the head office and distribution network." The disgruntled HR employees claim they were under contract and couldn't speak out, but were unable to remain silent longer while their beloved company was "being ruined." "Under usual circumstances, we'd never dare do such a thing as this," wrote the employees, who concluded their livestream five minutes later with a defiant farewell: "So really, what have we to lose? It's been a pleasure folks! Best wishes to you all!" 25 minutes later, all unauthorized tweets were scrubbed from the feed. 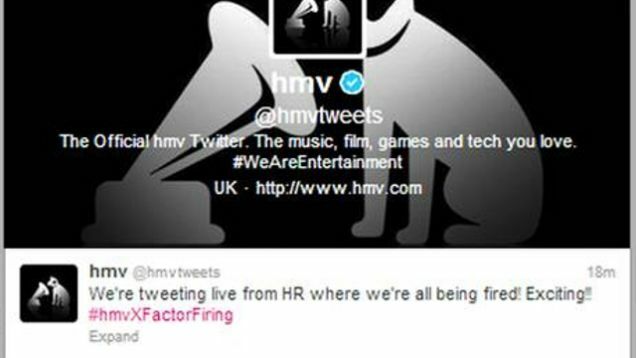 HMV has yet to comment on the Twitter takeover.